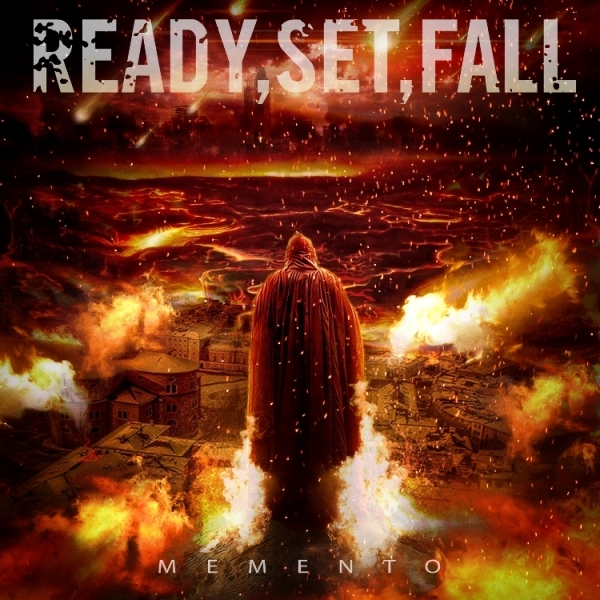 Ready, Set, Fall are from Genoa in Italy and they recently dropped a fairly interesting debut album called "Memento". Drawing from various sources, their style can be classified as a melodic metalcore blend with occasional nu-metal elements. The members come from various smaller pop punk and metalcore outfits and it seems they have brought the best of both worlds to Ready, Set, Fall and then mixed it all with some melodic death metal. Their Italian roots occasionally shine through in the accent of the vocalist in his more melodic choruses, adding a slightly exotic vibe to them. 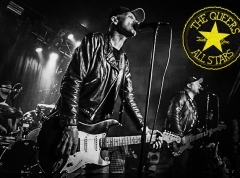 Almost every song on the record is built with urgent, growled verses and strong, soaring, melodic choruses and of course prominent breakdowns, but with occasional softer, symphonic passages as in the intro and chorus of "Is This a Happy Ending?" and the interlude in the chaotic wall of sound that is "A.N.S.I.A.". While their sound is every bit as immense as it's supposed to be, making all the songs here sound delicious, their build-ups begin to be noticeably similar about halfway through, the result being that I get sort of absentminded time and again at a point somewhere during "A.N.S.I.A." and "Honor". The songs "Deceiving Lights" and "Buried Alive" are the most memorable songs overall, especially "Buried Alive" has a winning combination with one of the strongest hook-lines of the album and a syncopated, rhythmic approach in the verses that sweeps its listener along instantly. Another high point of the record, and the song that initially caught my attention by musically standing out in the second half of the album, is the single "Labyrinth" which deserves a little attention because it's still my favorite of the album even though the rest of the songs have opened up for me since my first listen. What intrigues me about it, is how it attacks more suddenly than any of the other songs, ripping everything apart, and still manages to suddenly break down into almost peaceful bridges with echo-laden guitars and a steady, calm pace, only to burst open into an intensely groovy and eerie rap-piece accompanied by almost progressive guitars playing riffs that feel like they're slithering down your ear canals. It blazes through all these different expressions in a little less than three minutes without sounding rushed, and if you're like me it will definitely make you want to hit that replay button again and again. "Memento" is an incredibly strong contribution as debut albums go, and I am certainly hooked to hear more of this band in the future. This time around I'm going to revisit a few of the songs, but just a little more variety in song-structures to shake things up along the way could push this band into steady rotation in my music player for a good while.